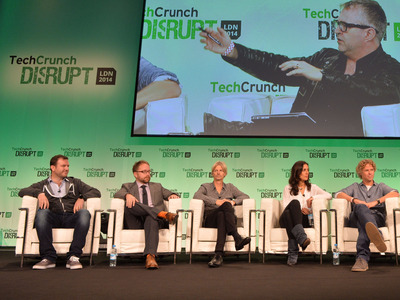 Flickr/TechCrunchThe initial Google Ventures Europe team. Google Ventures, the venture capital unit of Google, which has invested hundreds of millions into the likes of Uber, Slack and Medium, wants to make more investments in deeply technical European startups that are developing completely new technologies. The search giant’s investment arm announced a dedicated $125 million (£86 million) fund for European technology startups in July 2014 only to fold it back into the global fund after making less than 10 investments over a period that lasted less than two years. The overall Google Ventures fund now stands at $475 million (£332 million) globally. Google Ventures had five partners in Europe when it announced Google Ventures Europe but today there are only two left: Tom Hulme and Avid Larizadeh. Business Insider met Hulme and Larizadeh at a lunch in London with The Financial Times, and the BBC. During the lunch at Dean Street Townhouse, the duo were asked about what happened to the dedicated Google Ventures Europe fund; what their future investment strategy looks like, and whether they’re really using artificial intelligence to identify the next companies to invest in. 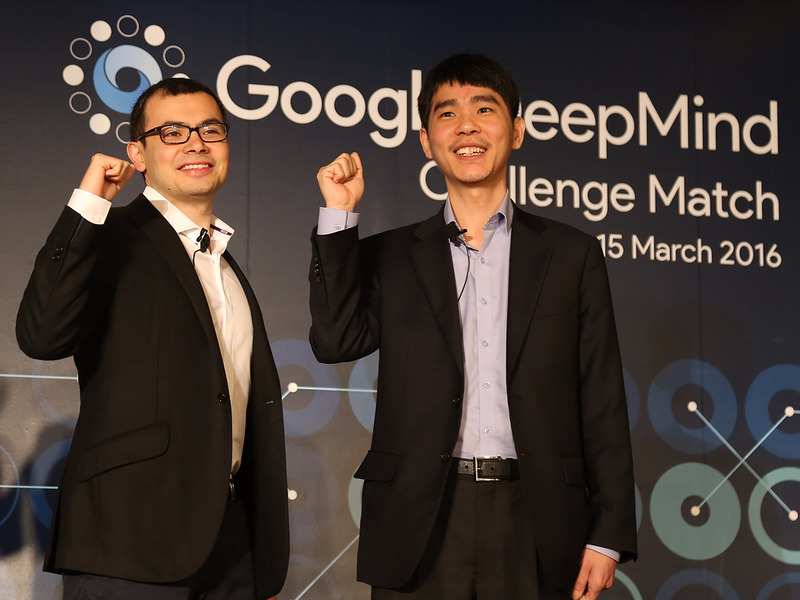 DeepMind is creating self-learning algorithms that can learn from raw experience or data. These algorithms are “general” in that they can perform well across a wide variety of tasks straight out of the box. The company is quite unlike the majority of the startups that Google Ventures has invested in across Europe in that it’s more research-focused and less consumer-facing. Conversely, neither Hulme nor Larizadeh have been able to find an AI company in Europe that’s worthy of Google Ventures’ millions. Google DeepMindDeepMind CEO Demis Hassabis (left) alongside world Go champion Lee Se-dol. Hulme said he is interested in a specific type of AI known as AGI, or artificial general intelligence. AGI — the area DeepMind operates in — is an emerging field focused on the building of “thinking machines.” These machines can be thought of as general-purpose systems with intelligence comparable to that of the human mind. While this was the original goal of artificial intelligence (AI), the mainstream of AI research has turned towards more niche applications and is often referred to as applied AI. 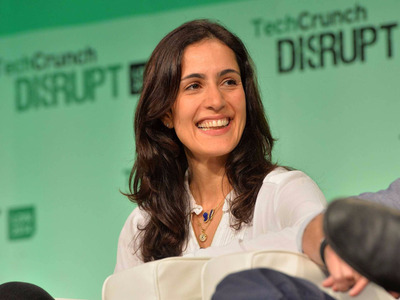 The fact that Google already has DeepMind isn’t an issue for Google Ventures, according to Larizadeh. “We don’t stop because Google is doing something unless we truly think that Google has a massive advantage,” she said. Kobalt: Offers artists, songwriters, and publishers an alternative to the traditional music business model. Lost My Name: Personalised children’s books. Oxford Sciences Innovation: Dedicated £300 million to boost development of science and technology businesses in Oxford’s maths, life sciences and medical science divisions. Resolution Games: VR gaming studio based in Stockholm. Secret Escapes: UK-based members-only luxury travel site. Cambridge Epigenetix: Biosciences company that aims to be the leading provider of high quality, easy to use epigenetic tools. Weaveworks: Virtual private networks (containers). Enable customers to network, visualise and manage microservices and cloud native applications on Docker containers. GV’s newest portfolio company in the European region. Hulme spoke proudly of the eight investments Google Ventures has made in Europe but says that Google Ventures has the resources to go after more technical startups that are developing revolutionary technologies, like quantum computing, general AI, and futuristic travel concepts like Elon Musk’s Hyperloop. Flickr/PICNIC NetworkTom Hulme of Google Ventures. Hulme said he’s also interested in fintech, which is an area he focused on during his time as an angel investor. Like AI, Google Ventures is yet to back any fintech companies in Europe. Hulme puts this down to the fact the valuations are too high. “We looked at a lot of businesses and our concern collectively was around valuation,” he said, adding that Google Ventures assessed most of the peer-to-peer payments startups, and most of the crowdfunding startups . Hulme went on to say that Google Ventures will make a fintech investment at some point, adding that he thinks valuations are already starting to fall, particularly at the later stage. Last December, the Google Ventures Europe fund — initially overseen by a team of five investors — was folded into the main US Google Ventures fund, with numerous reports suggesting that tensions had developed between Google Ventures investors in the US and Google Ventures investors in the UK over a lack of autonomy. “The strategy hasn’t changed,” said Larizadeh early on in the lunch, trying to dispel what’s been reported by the media about how Google’s European investors struggled to get sign off on deals from Bill Marris, the California-based Google Ventures boss. Flickr/TechCrunchAvid Larizadeh of Google Ventures. The merge occurred for a number of reasons, according to Larizadeh and Hulme. Venture capitalist Mark Tluszcz, cofounder and CEO of Mangrove Capital Partners, said the significance of the folding of Google Ventures Europe into the Google Ventures global fund was overhyped. He added that five partners for the Google Ventures Europe fund may have been a bit excessive. YouTube/lostmy.nameLost My Name is a children’s book startup. From looking at random emails to attending startup demo days, there are a range of different methods that investors use to find companies to invest in. 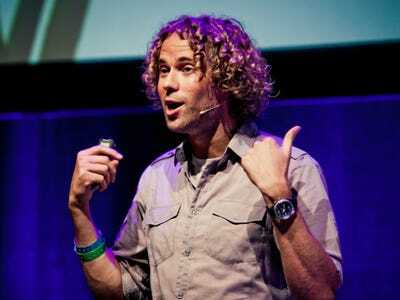 Reports suggested that Google Ventures had created a robotic algorithm to find the most promising companies to back. When asked about these reports, Hulme said: “Look, we have 12 world-class machine learning and engineering guys who spend a lot of time helping the portfolio and when they’re not helping the portfolio companies they will look at the way the market is shifting and help us with a point of view. Fortunately for Google Ventures, it has access to more data than any venture capital company on the planet. It knows exactly what people are searching for and how popular certain apps and websites are before it invests in them. Tluszcz says that venture capital does rely on data, but there’s also something else needed as well. “It’s also a lot about the feeling you have as individuals. I think they go past that. I think they just go f*** it, I just care about the data, data, data, data, data.